Marks and Spencer is king of the gluten free food – and as well as some timeless classics they have also brought in some new free from goodies this year. 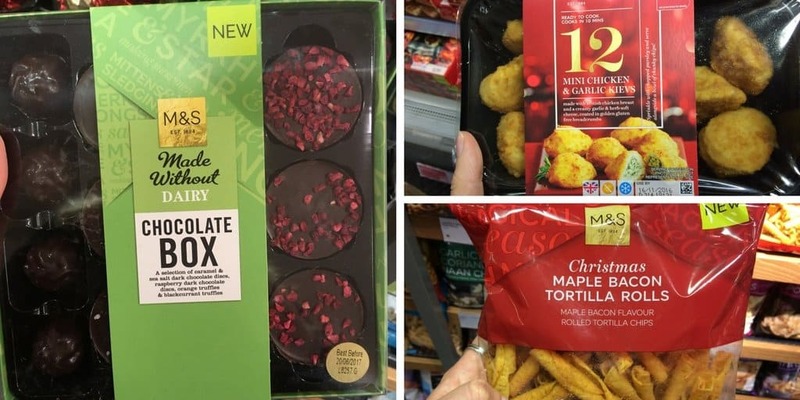 My local M&S is pretty small so I imagine bigger ones will have more selection, but here, as the first instalment of my Free From Christmas series, is a selection of gluten and dairy free Christmas foods from Marks and Spencer. I think this Marks and Spencer gluten free Christmas sandwich was out last year, but this is the first time I have seen it in the Barnstaple store. It’s packed with turkey, cranberry sauce, stuffing and mayo and is absolutely delicious – we love an M&S Christmas sandwich day at work! These are SO DELICIOUS! In their ‘on-the-go’ Christmas range are these pigs in blankets with a cranberry and orange dip. They’re absolutely amazing and gluten free too. These have to be the BEST gluten free supermarket mince pies around. The pastry is buttery and delicious, there is plenty of filling, and they look so pretty. These always sell out quick – I’ll be stocking up and freezing them to last until Christmas! Now this is exciting for anyone who is dairy and/or gluten free! These chocolates look amazing and feature a selection of fruity, dark chocolate truffles. The perfect gift for a dairy-avoider. This Christmas cake is beautiful – it’s gluten free and hand decorated, though a bit pricey – I think this was around £12. It would make a lovely centrepiece at a party, and I love the gold box! Tesco may have bought out some gluten free party food this year but M&S are the original and best. These pigs and blankets look lovely and are party of the party food deal. Another one in the party food deal – these gluten free chicken kievs are so delicious (I bought a pack and they didn’t last long!). I would be SO happy if I saw these at a buffet, I might even cry! These cocktails sausages are another party staple and should be on every single buffet table! With 50 sausages there are plenty to go round and the ‘normal’ people won’t know the difference. How yummy do these look? These belly pork squares are something a bit different and they’re marked as gluten free – I can’t wait to give these a go. M&S have got pretty adventurous with some of their Christmas foods! These gluten free maple and bacon tortilla rolls look like the perfect combination of sweet and salty. These Christmas puddings are gluten free, wheat free and dairy free, and I’ve seen both individual ones and larger ones. I’ve heard great reviews so I’m going to try one this year. There are probably loads more gluten free options in larger stores, but this outlines what I have found in little ol’ Barnstaple. 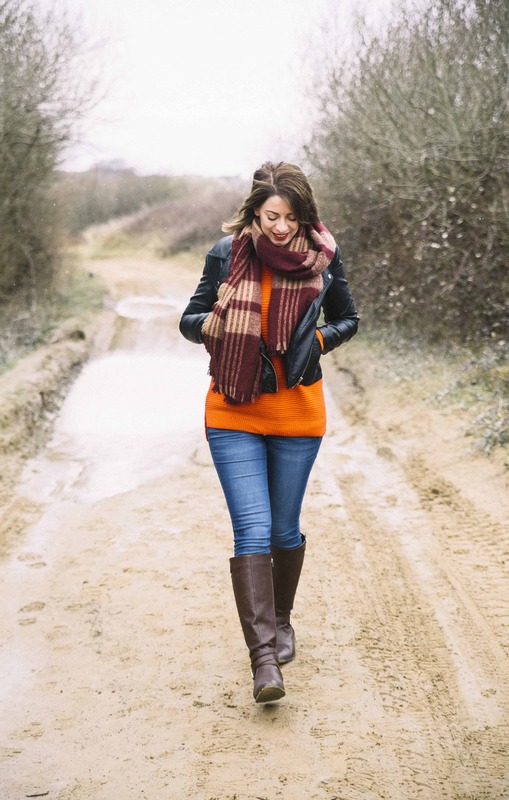 If you want to follow my Free From Christmas series, you can also see some lists of what I’ve found in Tesco and Sainsburys. I like m&s but they put dairy or eggs into almost everything GF which isn’t fair to any allergy sufferers. I did get to the chocolate box as it was the only thing without animal products it has soy. £18 for a small box was quite expensive though ?